Taco Salad is a family favorite! 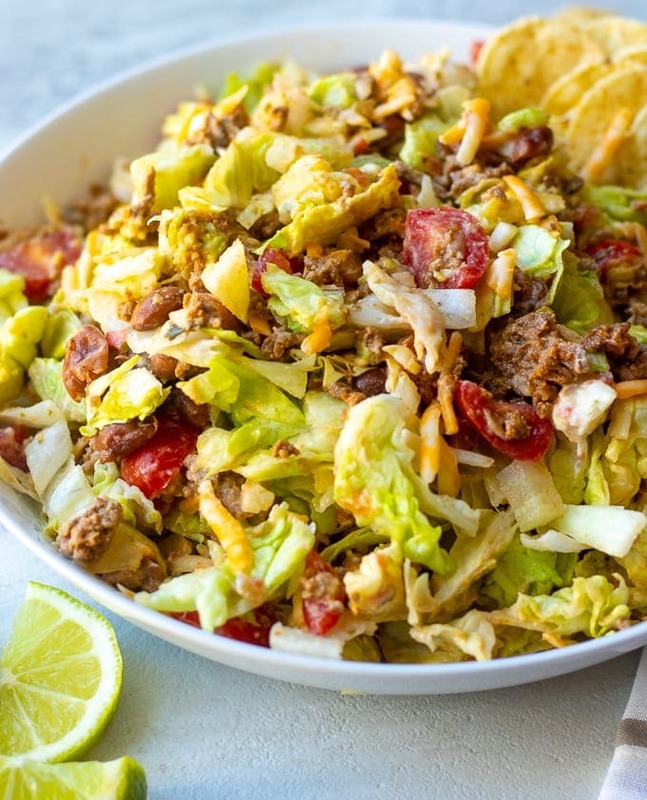 This recipe for Taco Salad is easy, healthy, and can be adapted for any dietary needs! We love tacos at our house, but what we really love is Taco Salad. I mean when you can put chips on a salad, what is NOT to love?! 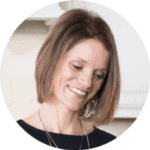 But why this mom really loves taco salad is because it is a healthier way to enjoy tacos and my entire family enjoys it! Score for a winning family meal! 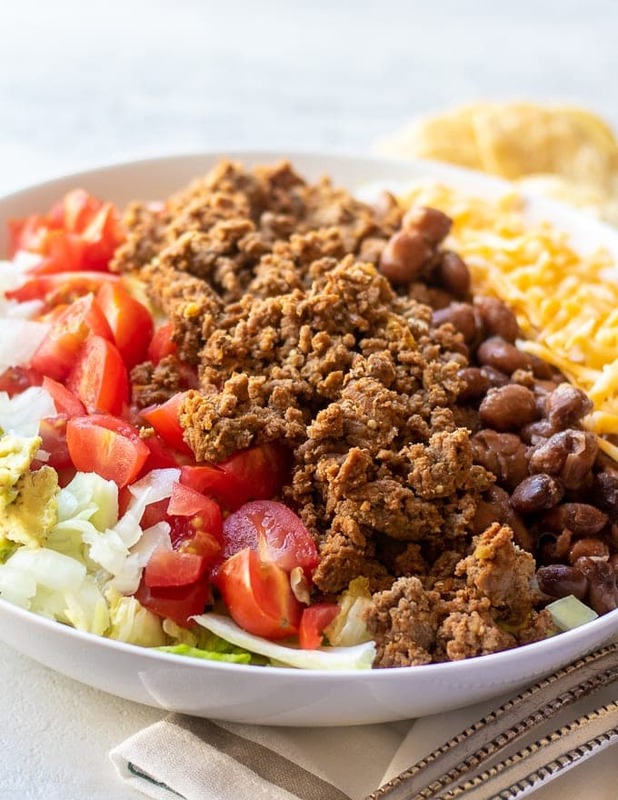 My version of taco salad features a creamy, spicy dressing, tons of fresh veggies, and of course taco meat. Taco Salad can easily be made to fit gluten-free, dairy-free, and Paleo lifestyles by swapping or leaving out a few ingredients. 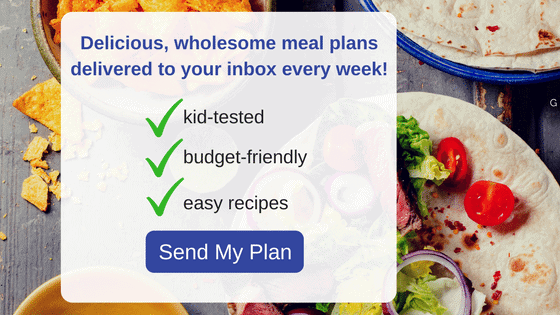 In fact Taco Salad is often my go-to meal when serving dairy-free or gluten-free guests. Everyone loves it and customize this taco salad to fit their needs. Shredded iceberg or romaine is the classic choice for a Taco Salad. Season ground beef, chicken or turkey with homemade taco seasoning. Or use my spicy Taco Meat with diced tomatoes and green chiles. I love pinto or black beans with my taco salad. Use half beans to meat ratio. 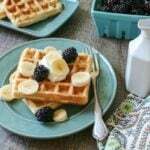 Not only does this keep cost down, but boosts fiber. If your family is picky about beans, they can leave them off or you can mix them in with the meat and seasonings and they may never know 🙂 If you are Paleo, leave out the beans. If you are vegetarian, leave out the meat but be sure to season your beans! In a large skillet, over medium high heat, brown ground meat, breaking up into small chunks as you cook the meat. Drain off any excess fat, and then add in taco seasoning and water. Simmer on low until meat is cooked through and water is absorbed. Chop up lettuce, tomatoes, onions, and avocados. Warm beans with a bit of extra taco seasoning if desired. Mix together salsa with sour cream or plain Greek/regular yogurt. Add in juice of fresh lime and stir well. You have a few options on how to serve this healthy taco salad. Place all ingredients out and allow everyone to serve themselves. This is my preferred method, as then everyone is able to make their own preferred taco salad. Toss all the ingredients together, along with the Taco Salad Dressing. Just be sure to serve the chips on the side–NO one wants soggy chips! To keep this Low-Carb, omit the chips and beans. To keep this Gluten Free, just be sure to use homemade taco seasoning. To keep this Paleo, omit cheese, beans, and sour cream from dressing. Feel free to use any ground meat or even shredded chicken or shredded pork for this taco salad. Forget to thaw your meat out? Use my method for Instant Pot Frozen Meat. Feel free to use either sour cream or plain Greek or plain regular yogurt for the Taco Salad Dressing. In a large skillet, brown ground meat, breaking up into small chunks as you cook the meat. Once meat is browned, drain off excess fat. Add in taco seasoning and water. Simmer on low until water is evaporated. Mix together sour cream/yogurt with salsa and juice of fresh lime. Place chopped lettuce into a large serving bowl. Top with taco meat, diced tomatoes, onions, avocados, cheese, and beans. Toss well to combine. Add taco salad dressing and toss to combine again. I could eat this every single night and sometimes make it ahead for a week of lunches! Absolutely delicious! I am so glad you love this dip so much Marjory! This was a delicious change of pace from my usual tacos! The whole family loved it!! I love hearing that Liz!